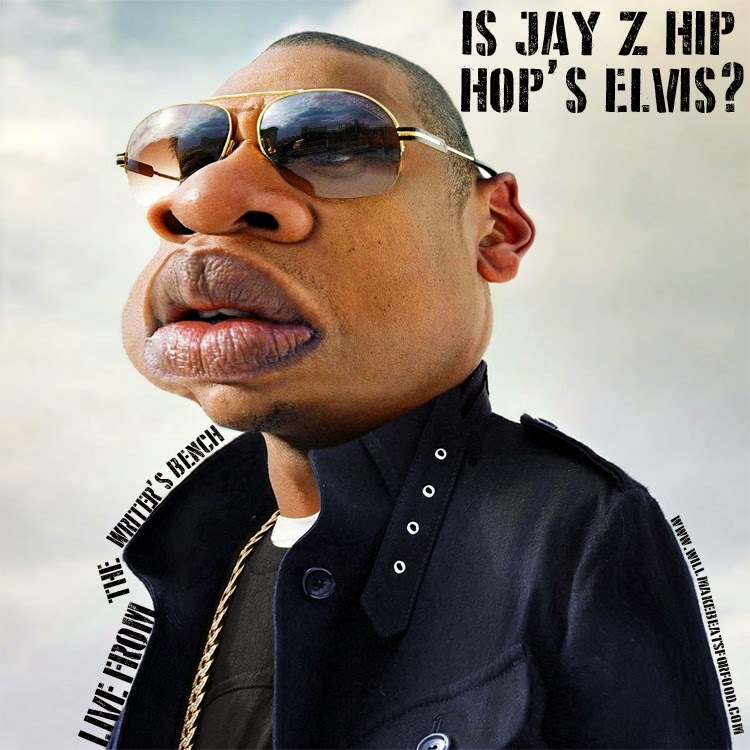 Will Make Beats For Food : Live From the Writer's Bench: Is Jay Z the Elvis of Hip Hop? Live From the Writer's Bench: Is Jay Z the Elvis of Hip Hop? Every week, after we get finished recording an episode of The Writer's Bench we always end up talking for at least another 30 minutes. Sometimes it's what we were talking about for that episode or sometimes it trails off into a little bit of everything. Since we weren't able to record a show this past week, I dug in the vaults to pull out these outtakes of us chopping it up about is Jay Z hip hop's Elvis and has technology messed up the sound of hip hop. Even though it's not a full show, trust me when I say that a lot of our outtakes are just as dope (and sometimes doper) as our shows. So it's STILL another dope ep ya'll!